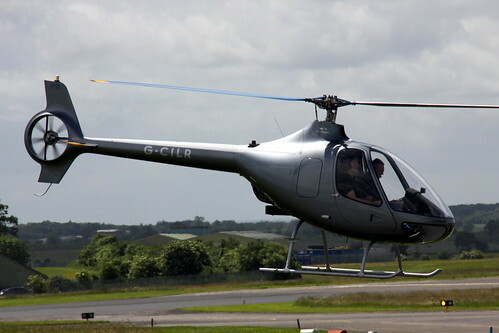 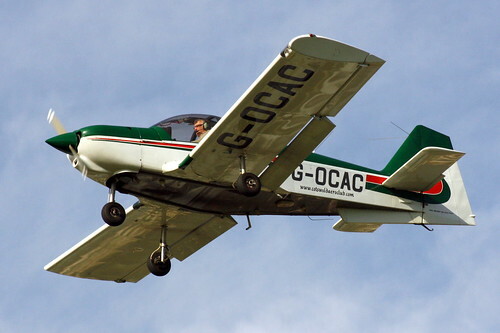 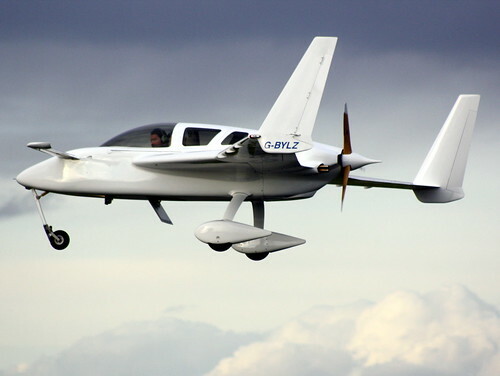 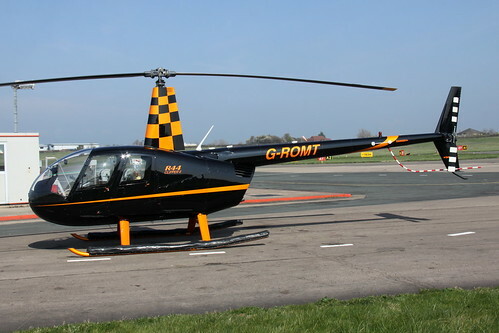 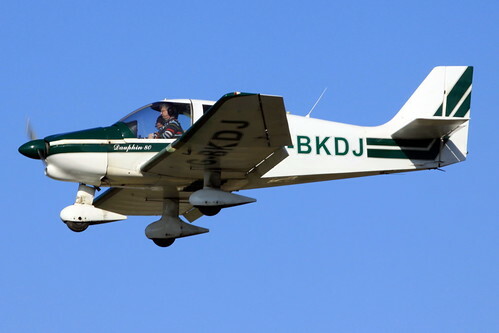 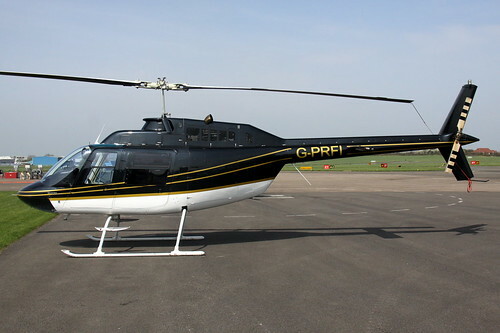 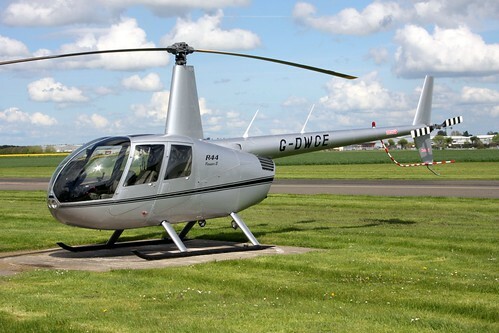 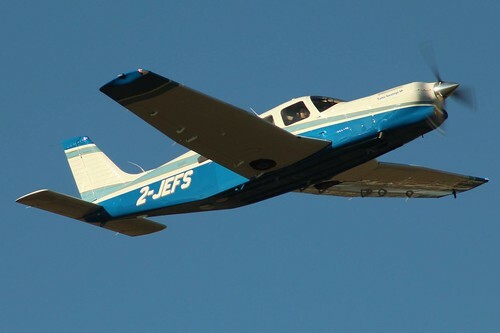 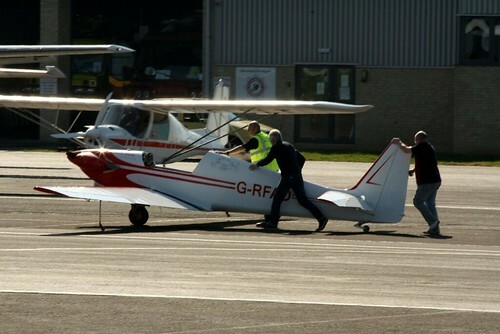 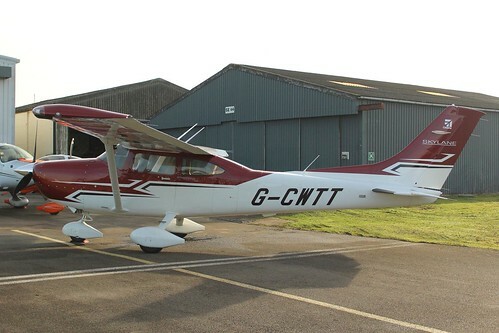 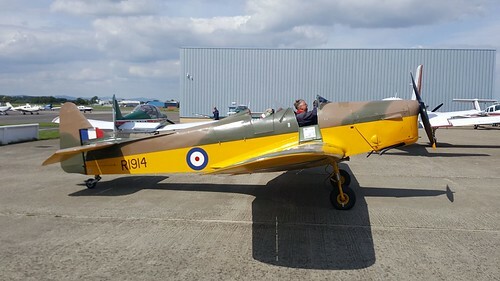 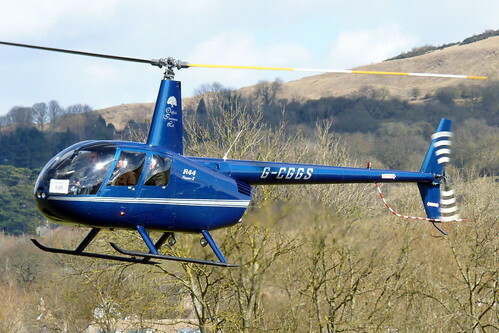 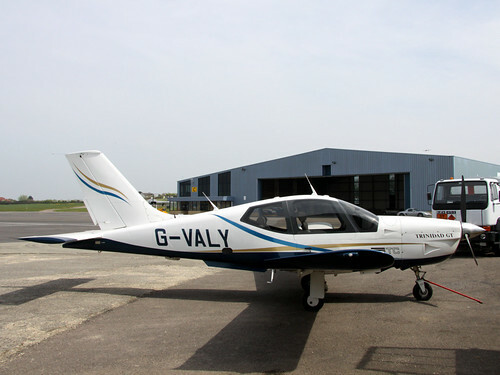 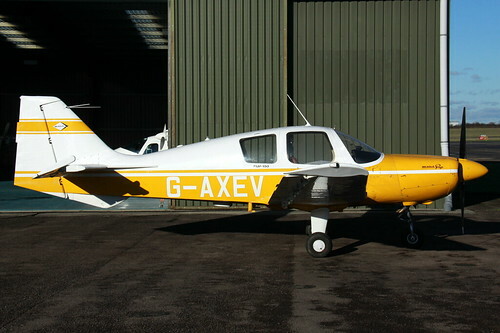 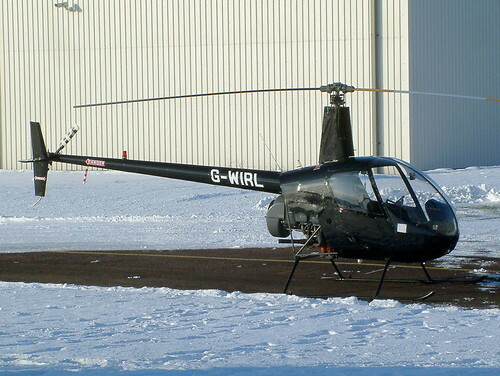 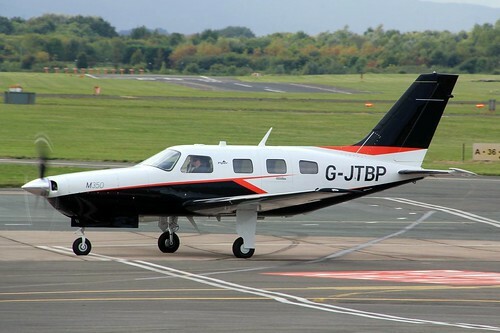 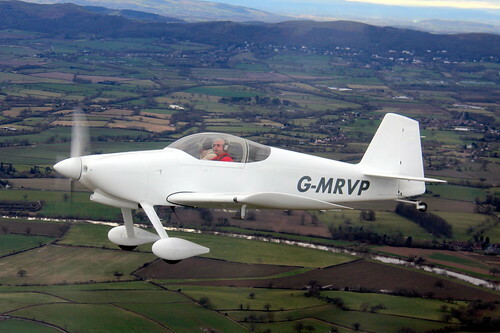 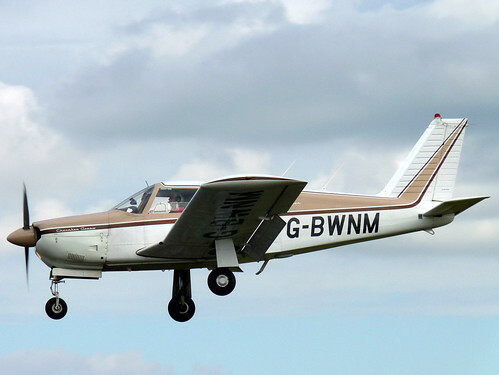 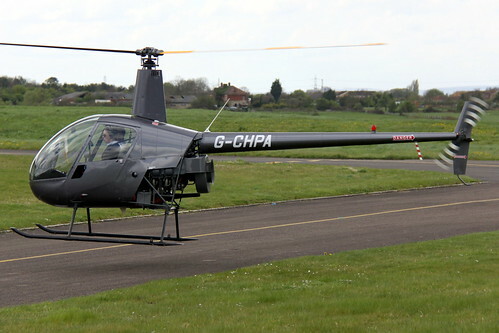 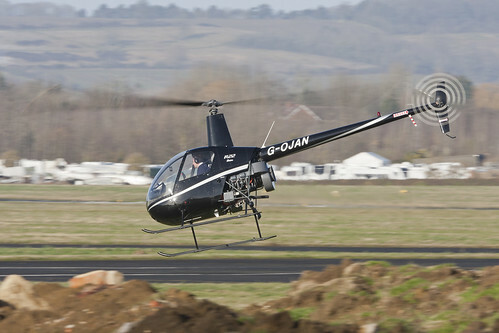 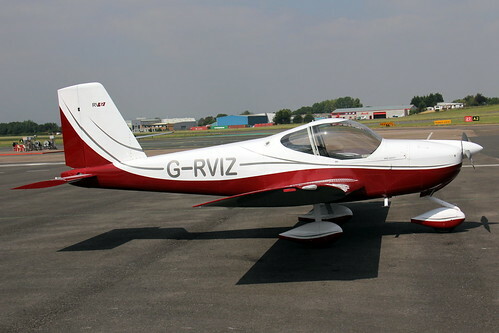 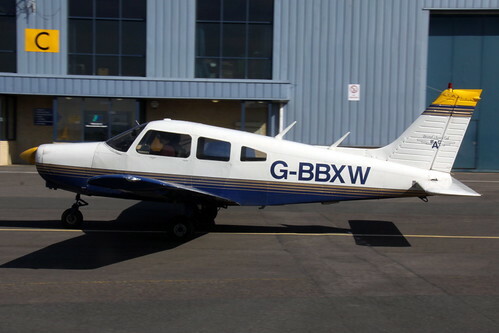 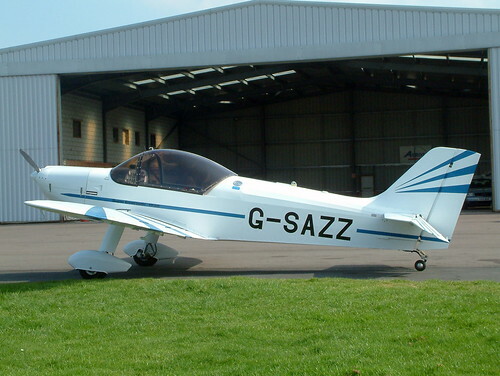 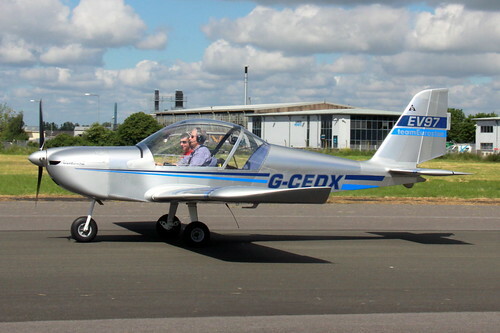 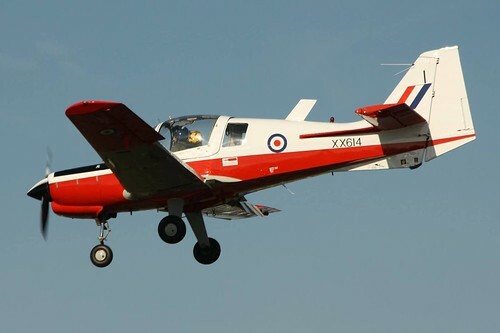 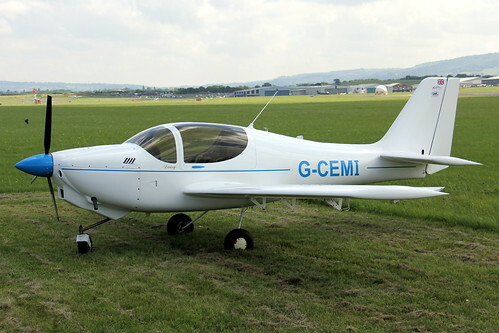 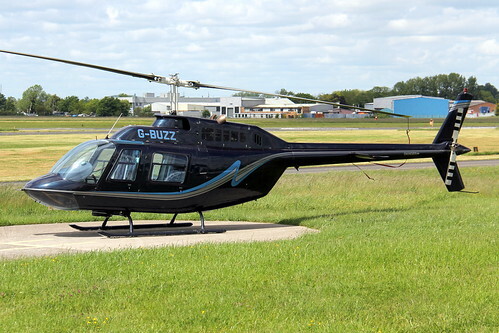 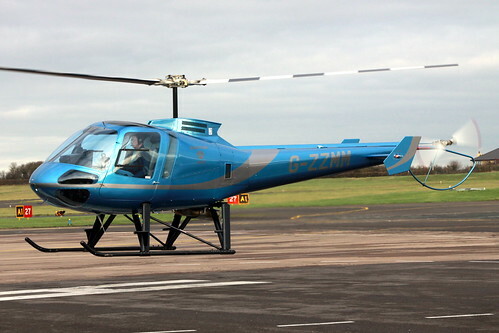 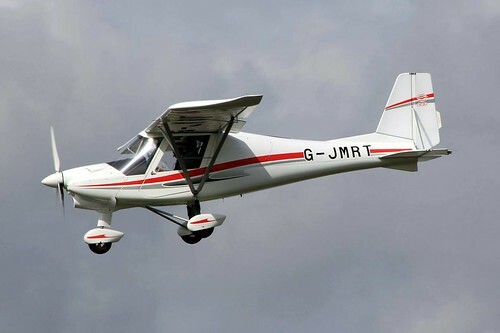 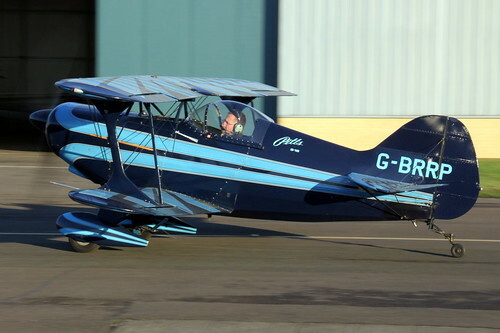 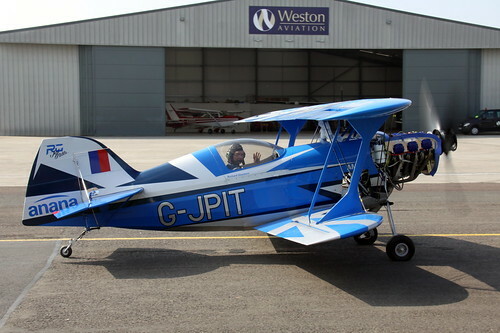 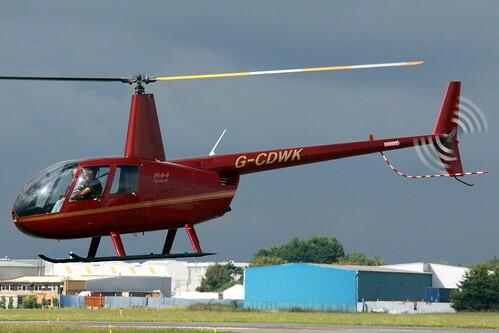 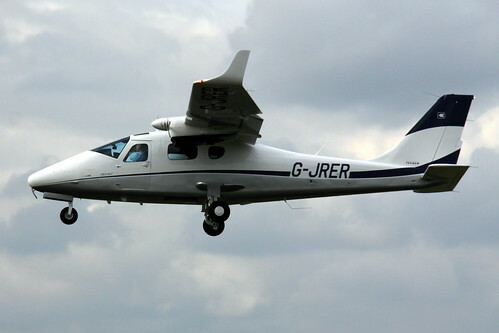 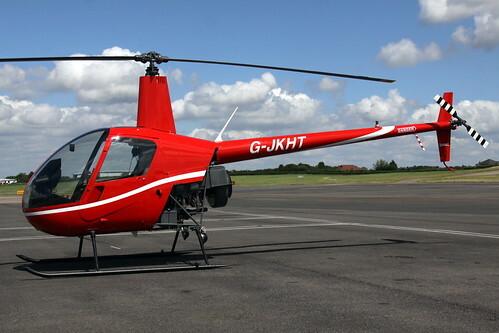 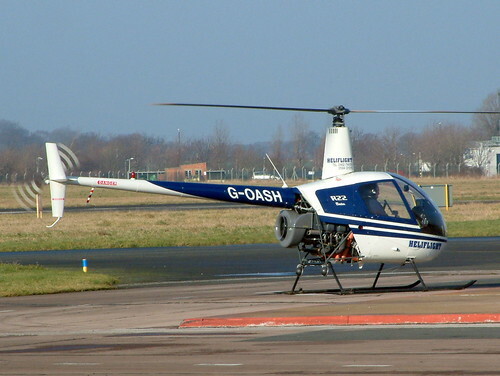 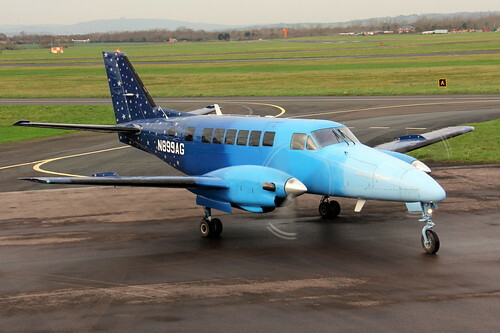 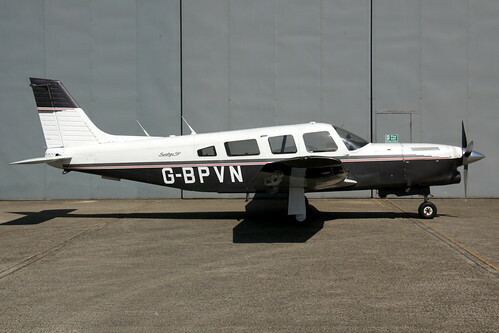 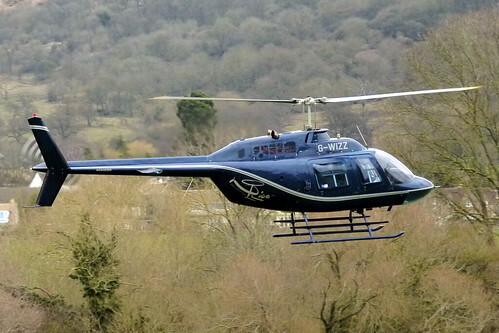 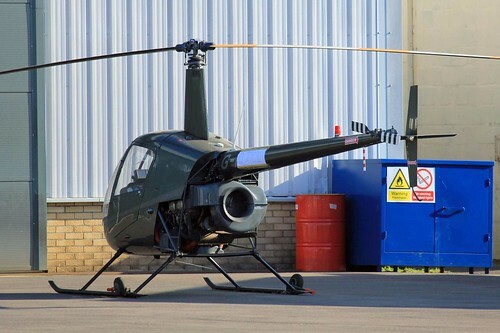 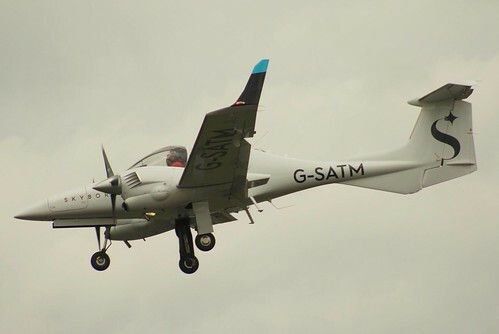 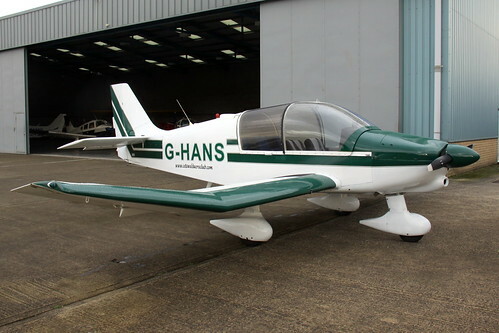 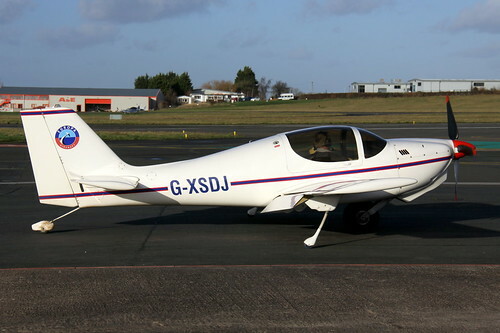 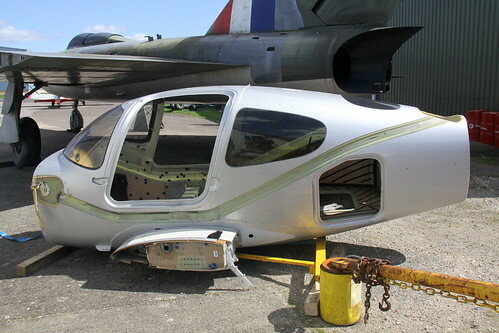 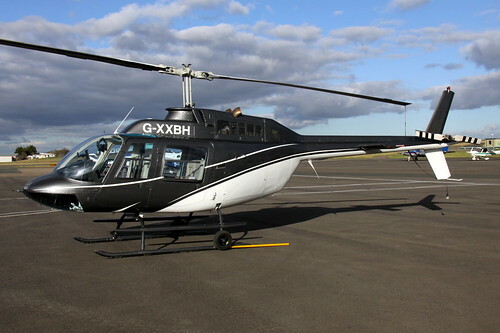 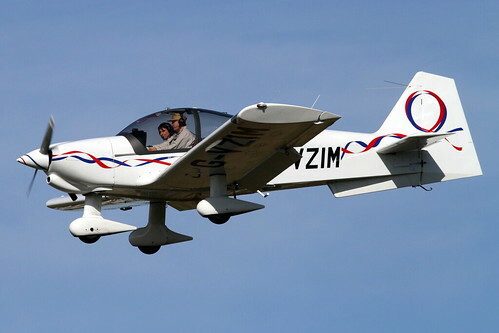 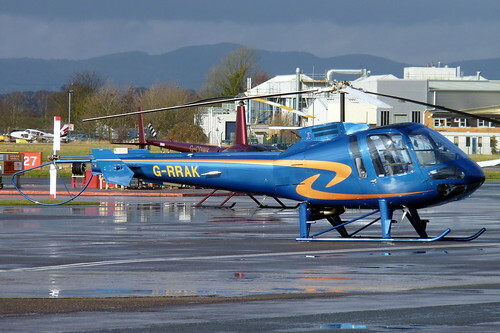 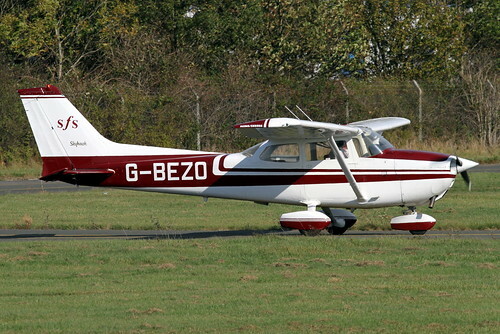 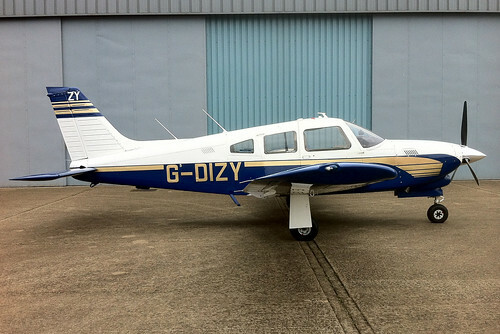 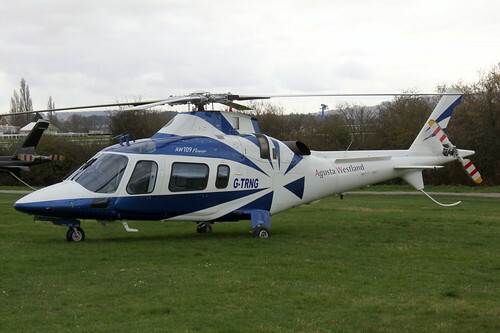 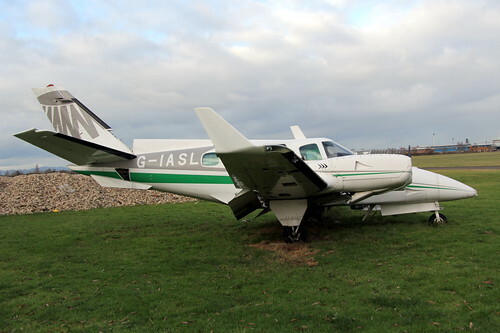 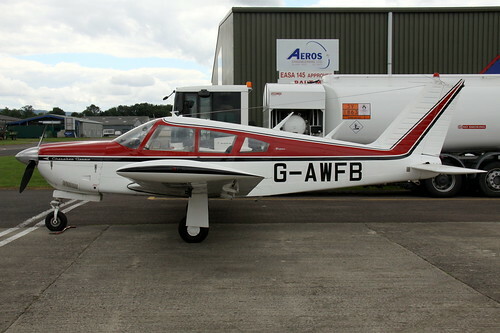 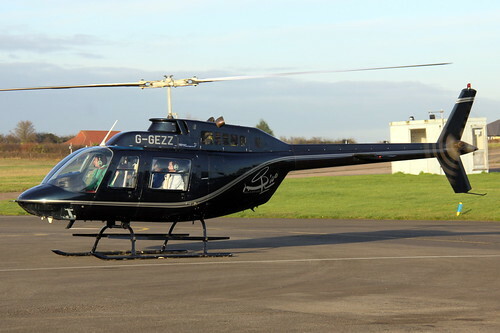 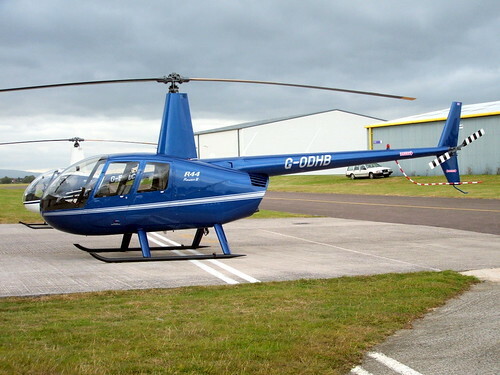 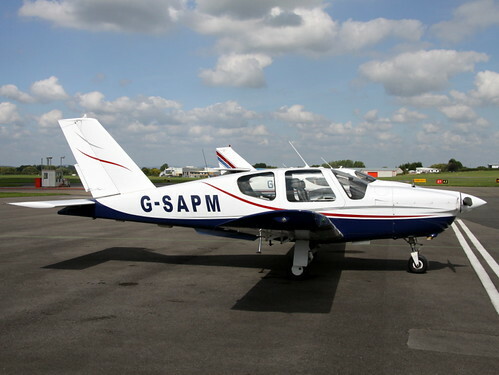 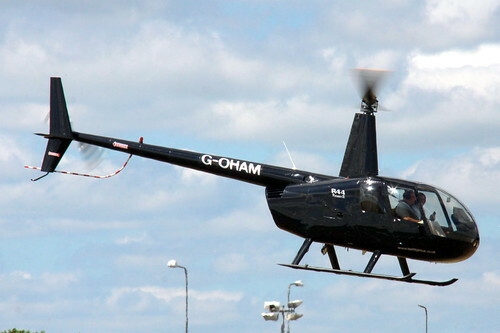 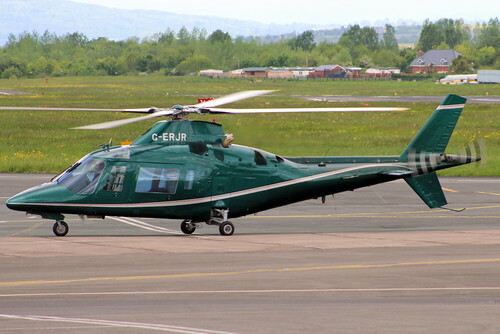 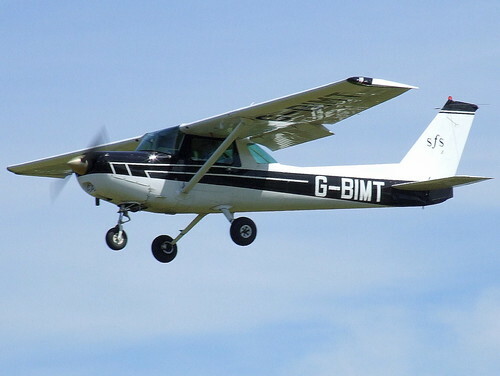 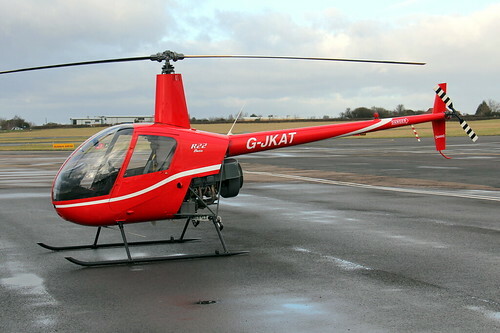 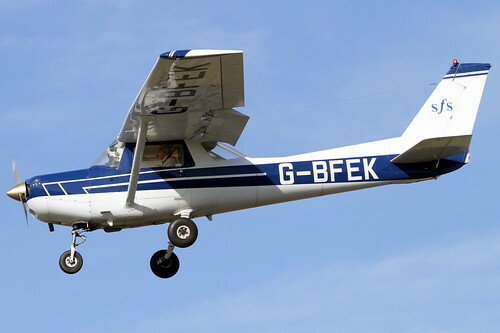 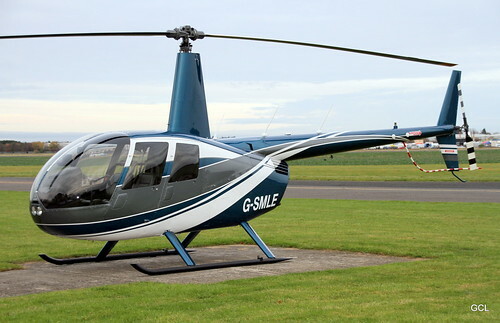 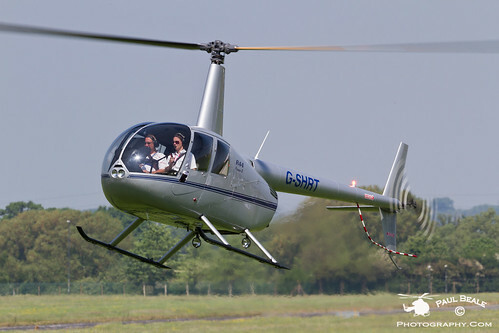 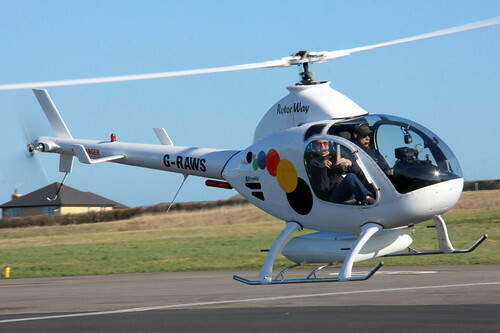 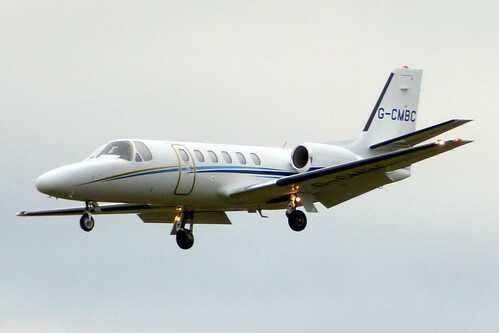 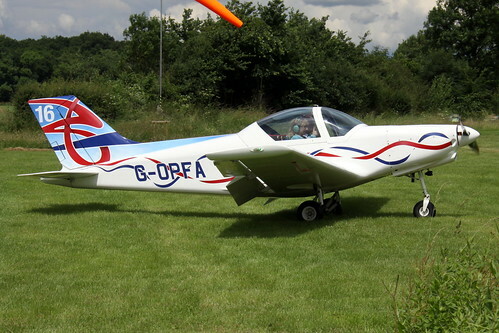 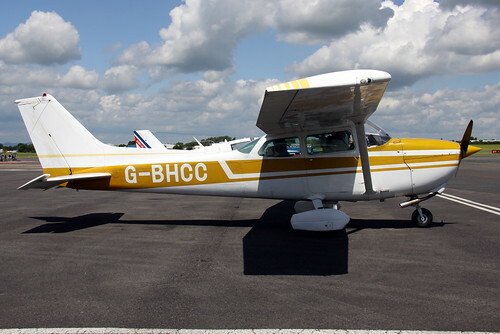 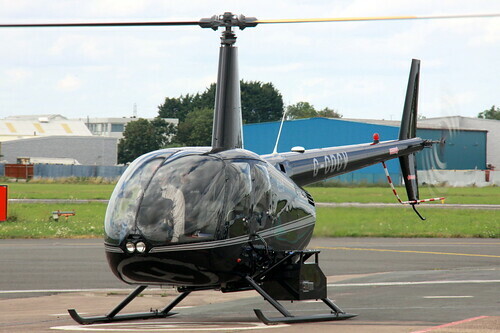 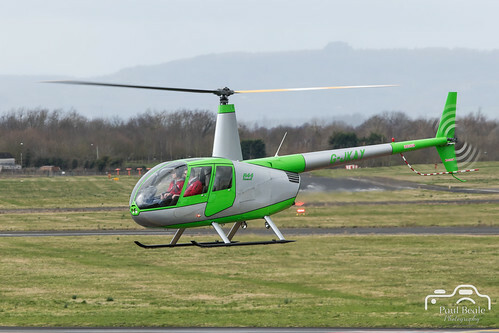 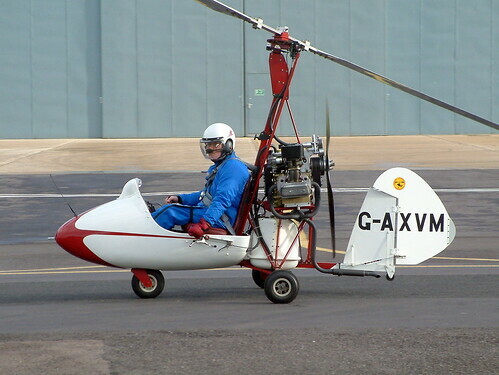 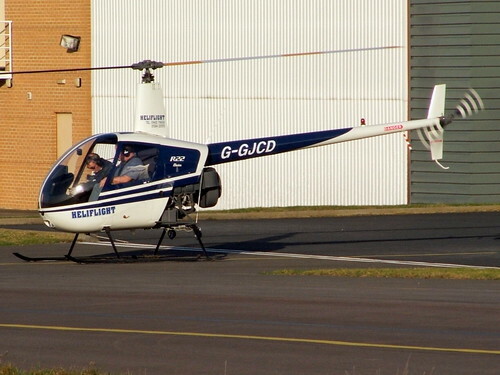 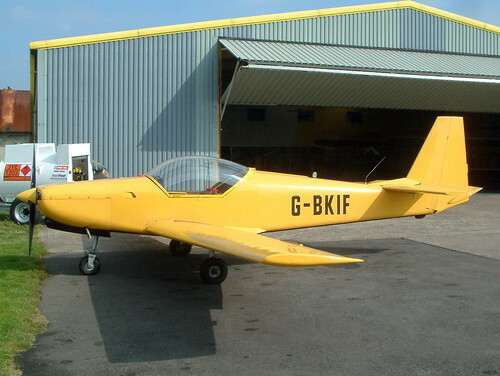 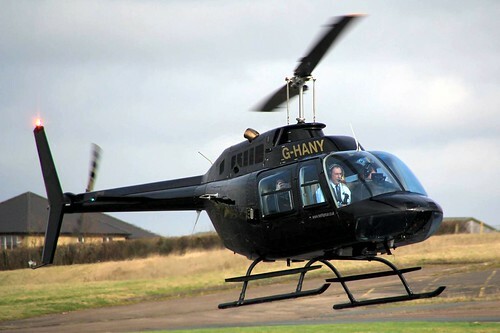 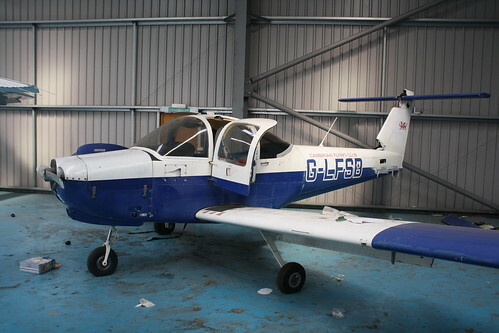 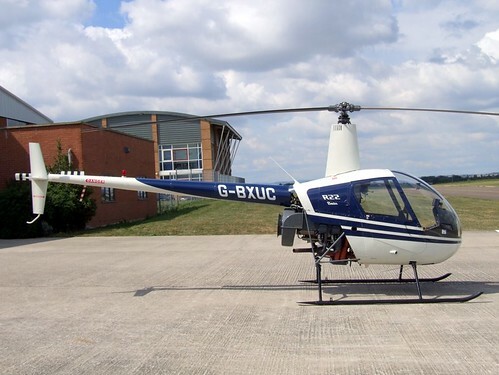 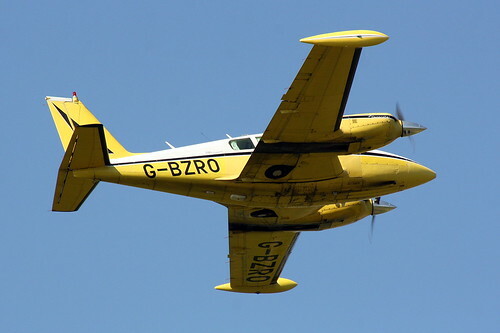 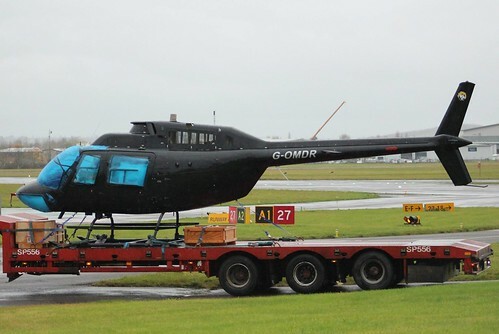 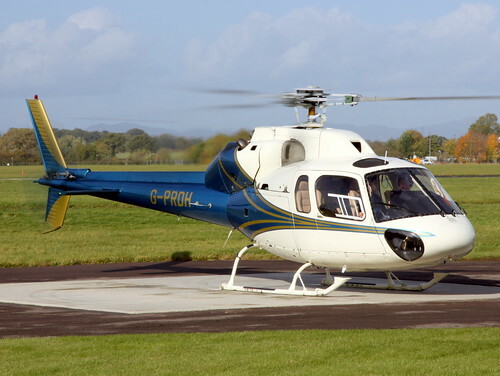 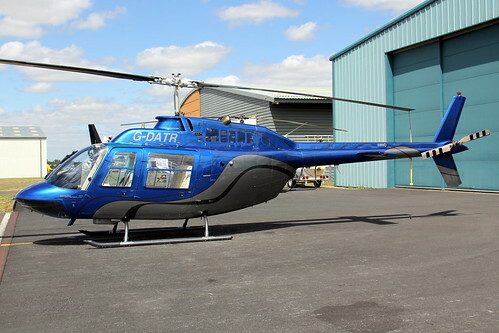 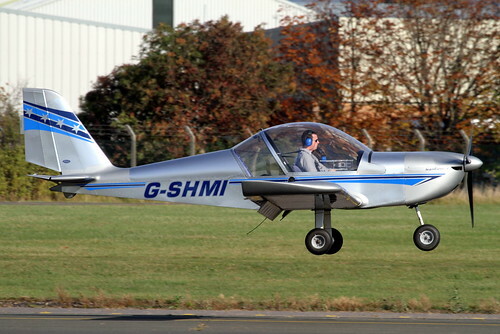 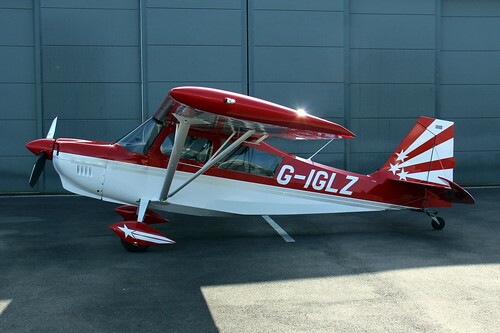 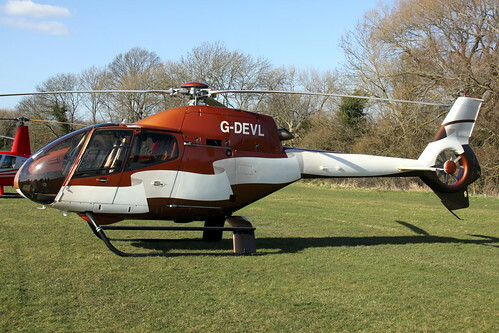 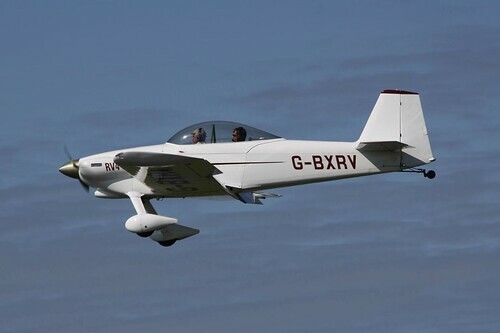 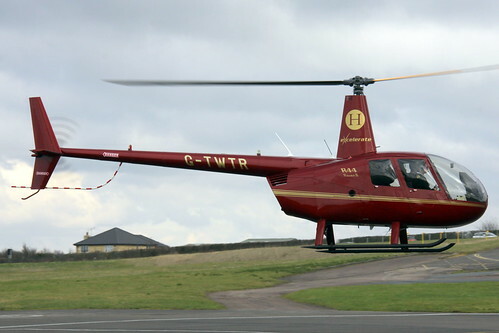 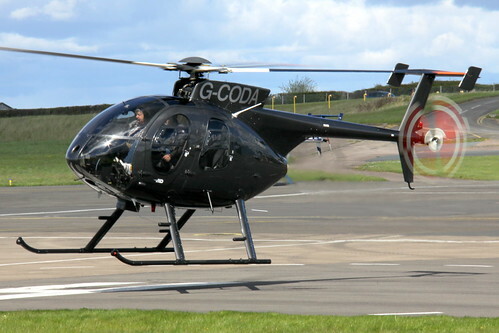 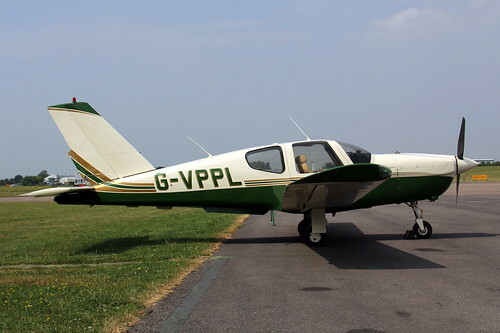 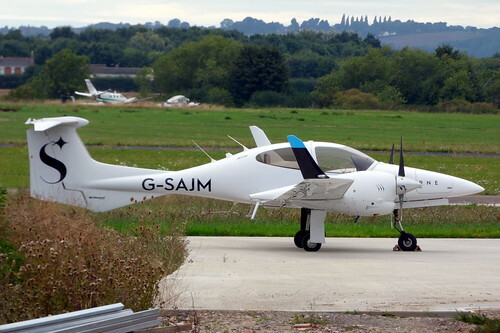 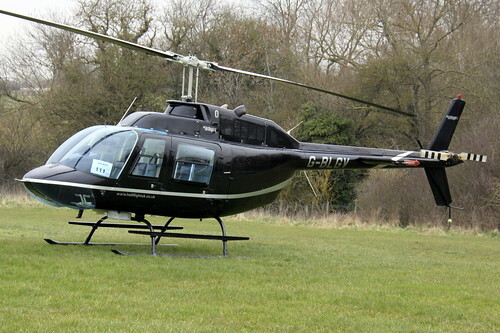 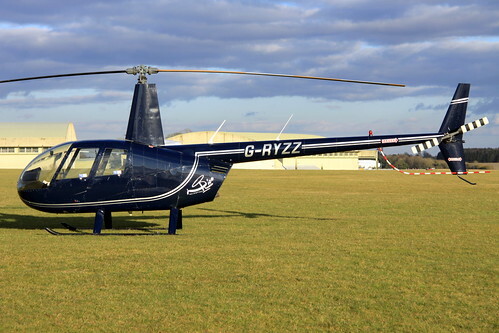 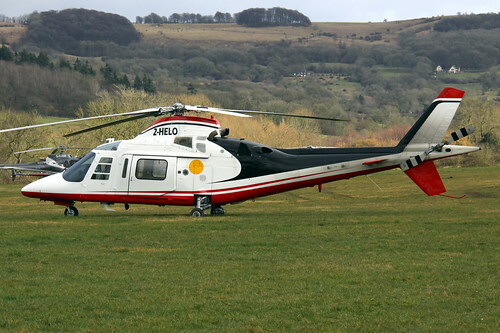 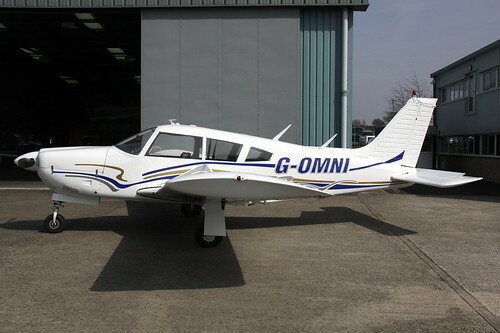 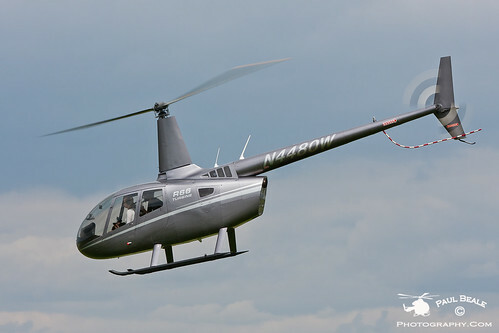 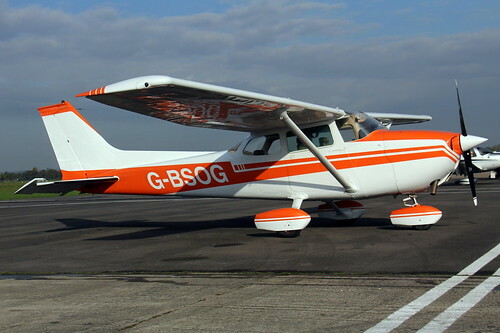 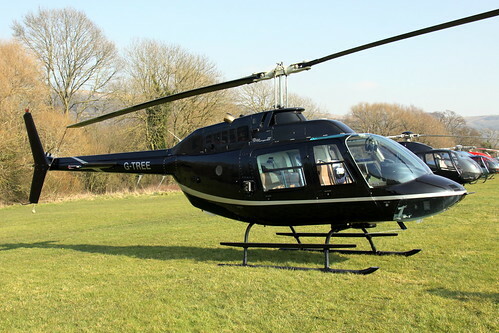 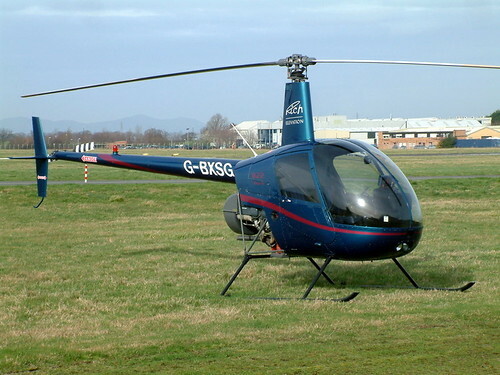 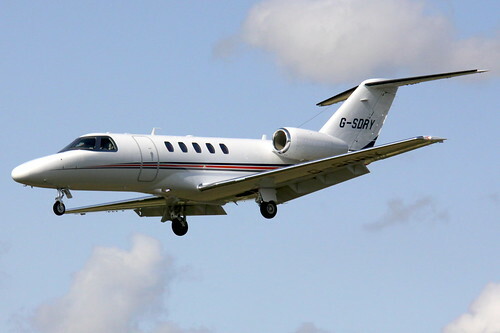 Whilst there are many aircraft permanently resident at Gloucestershire Airport, some of the based Flying Schools such as Aeros and Heli Air rotate their fleets with other bases. 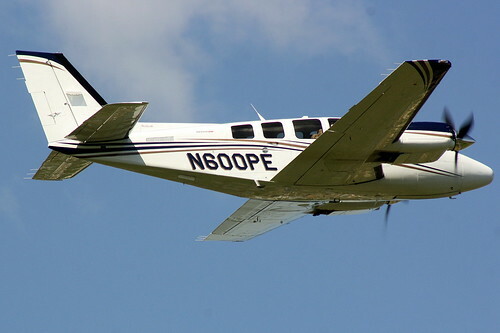 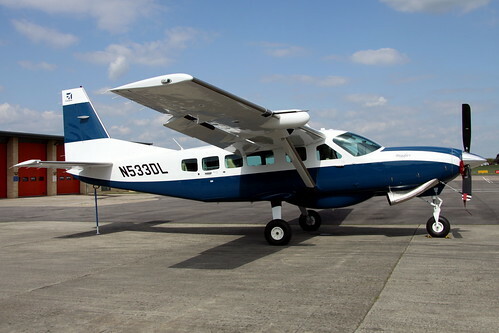 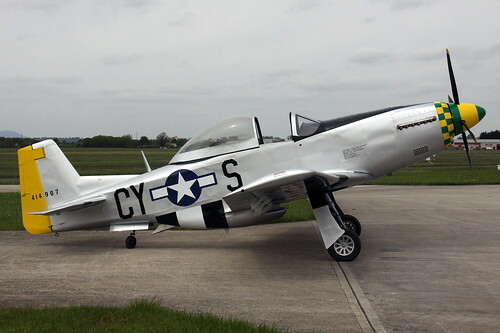 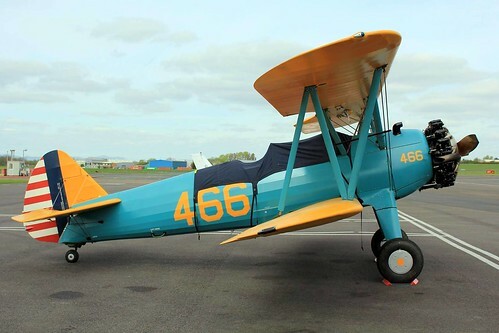 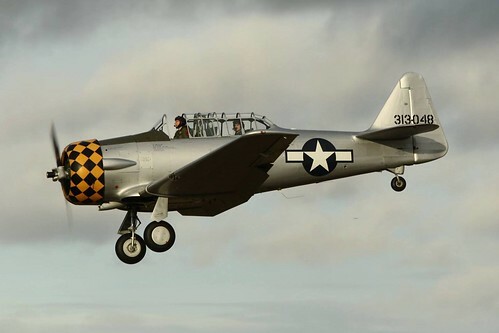 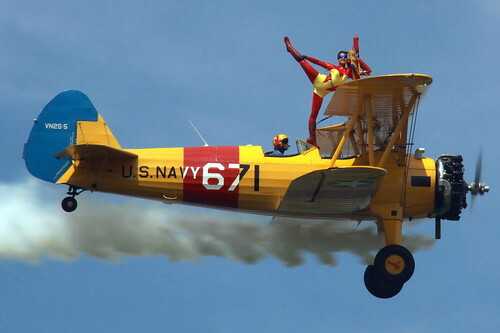 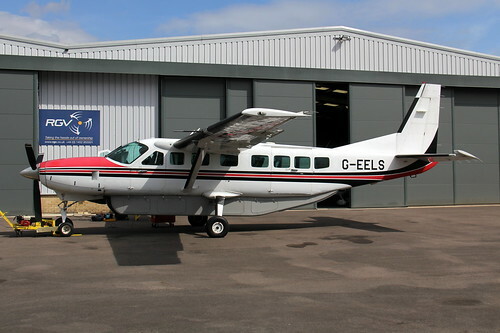 Aircraft used by these schools are listed separately, please follow the links below. 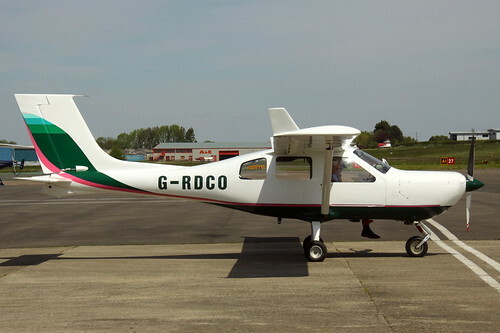 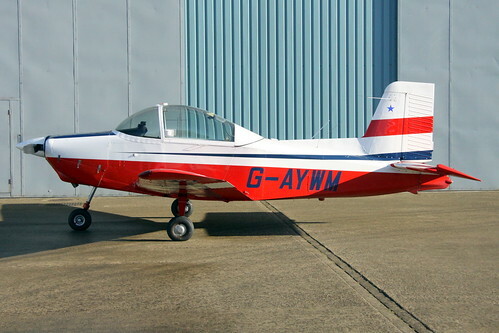 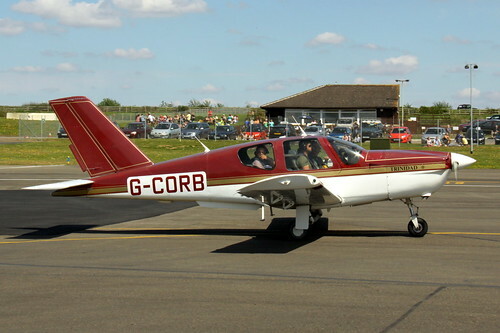 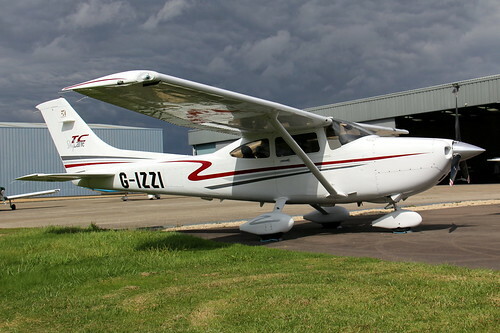 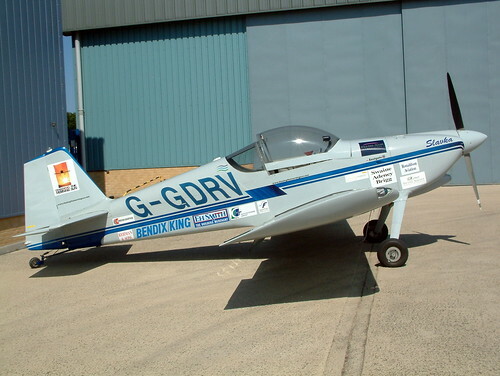 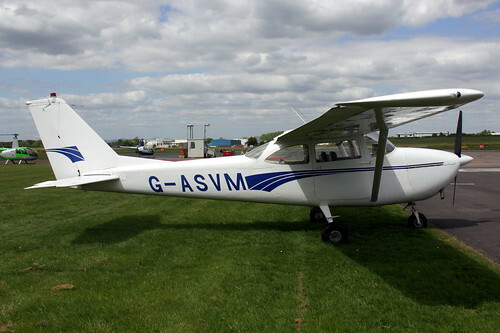 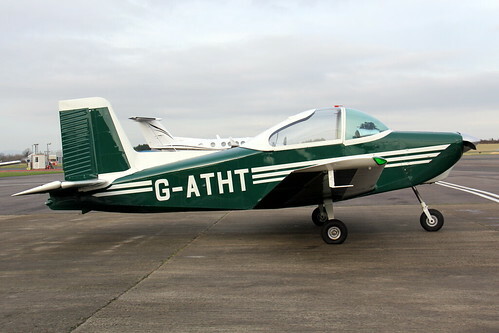 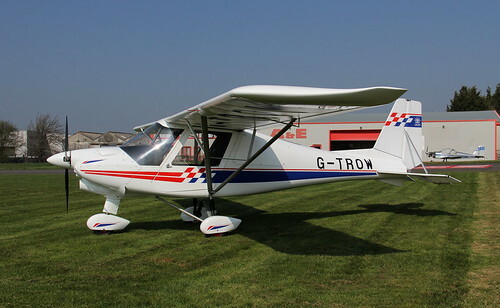 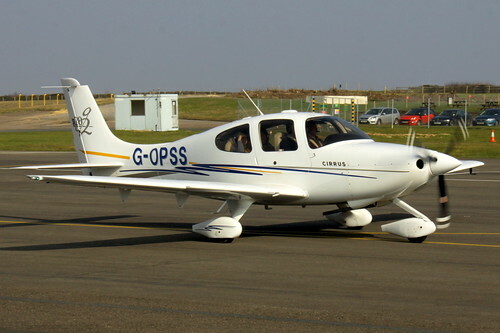 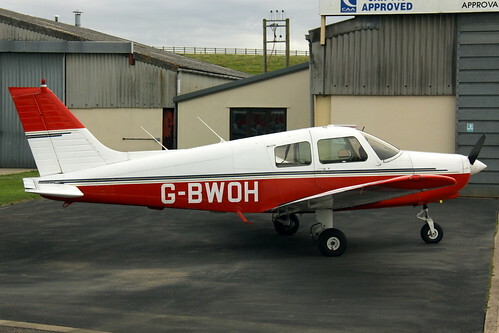 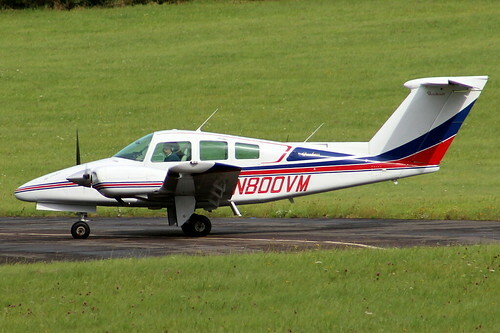 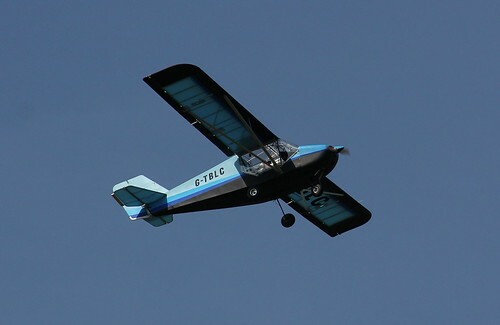 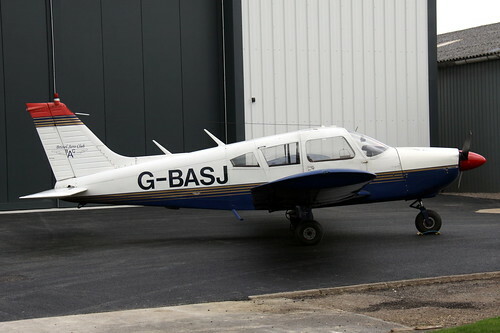 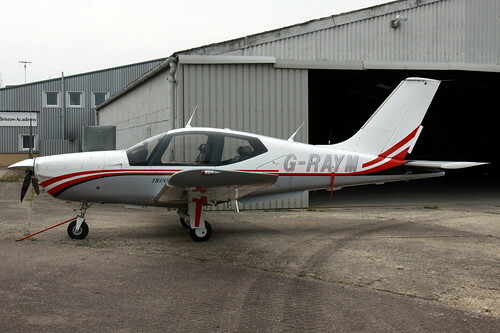 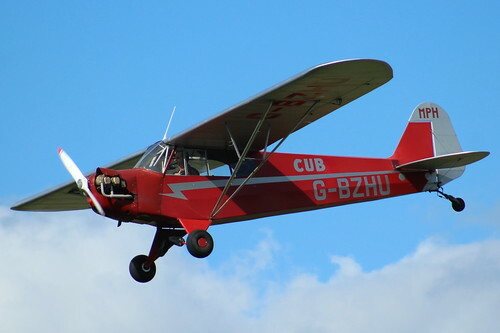 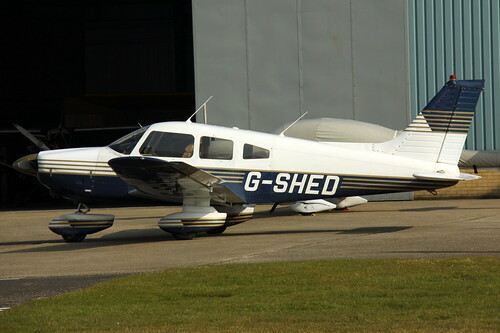 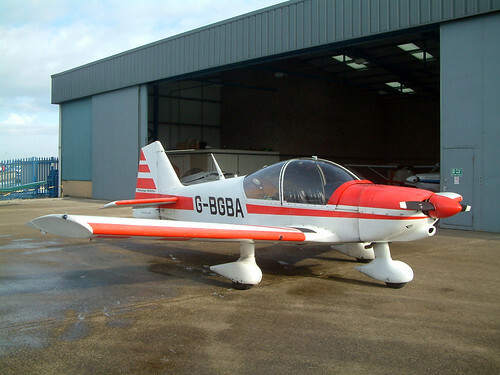 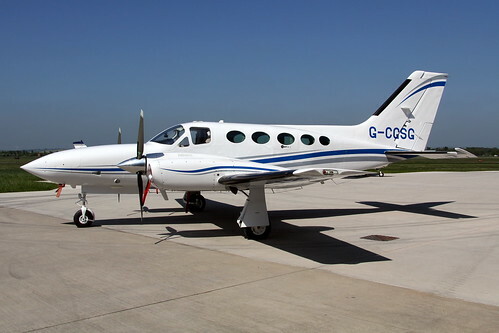 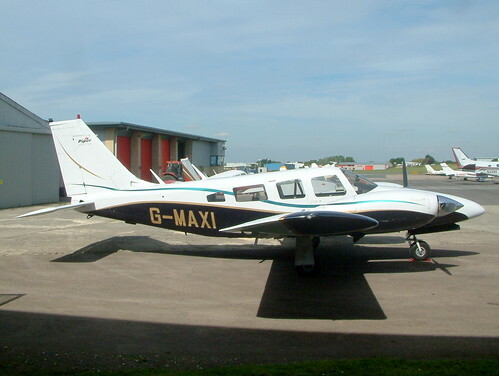 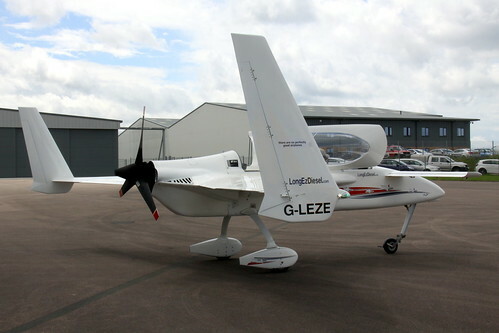 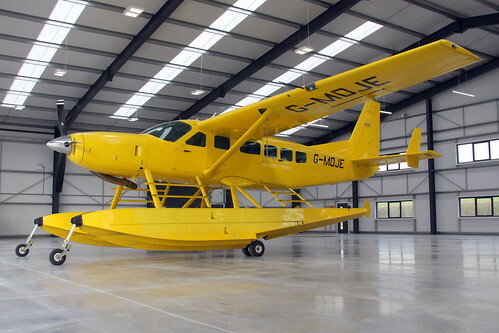 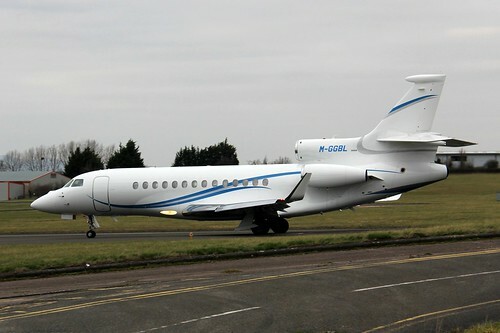 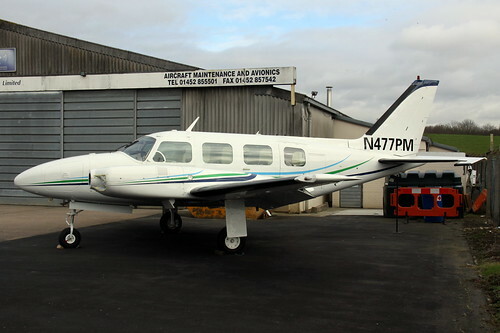 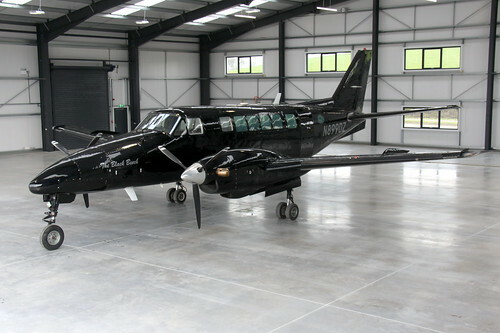 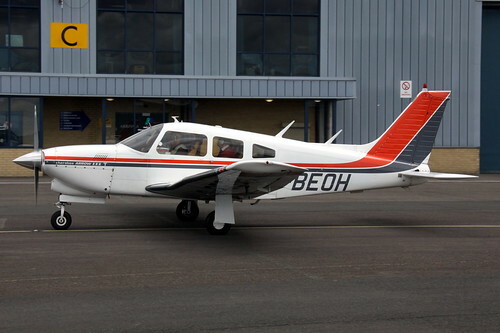 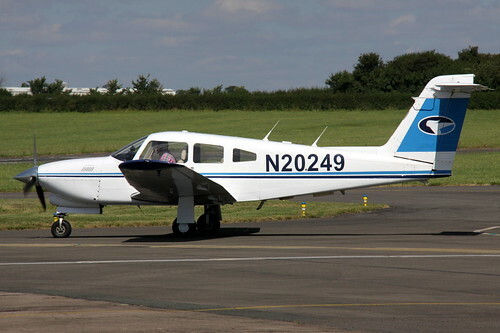 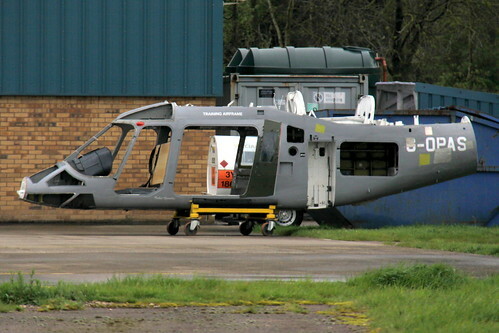 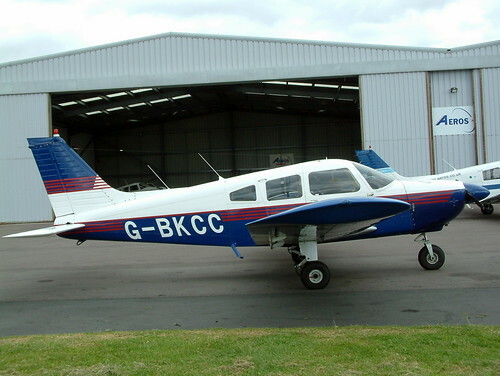 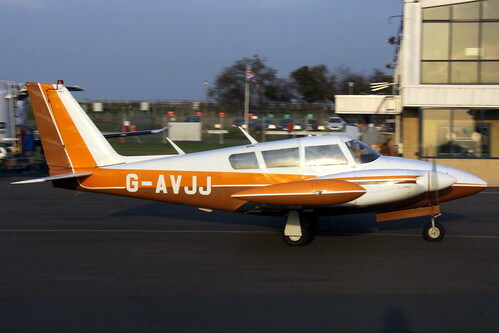 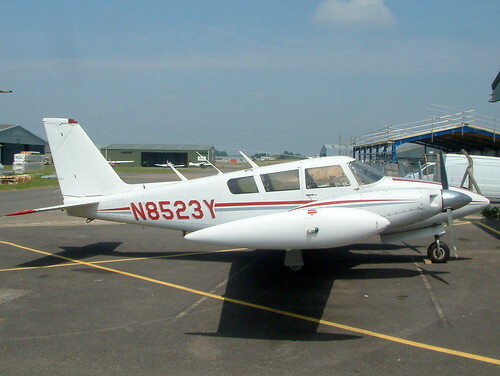 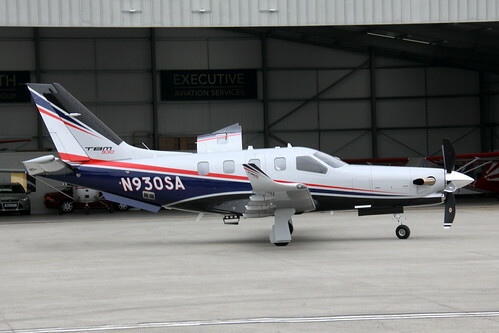 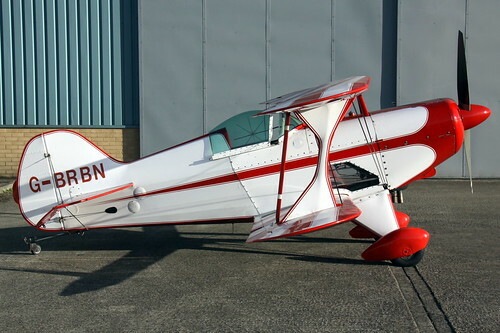 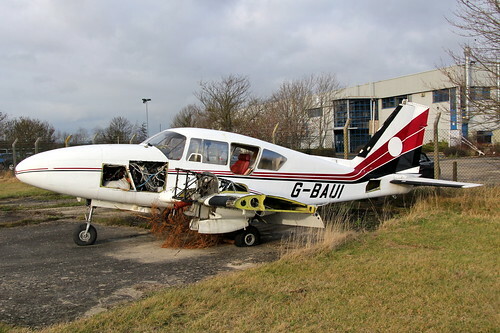 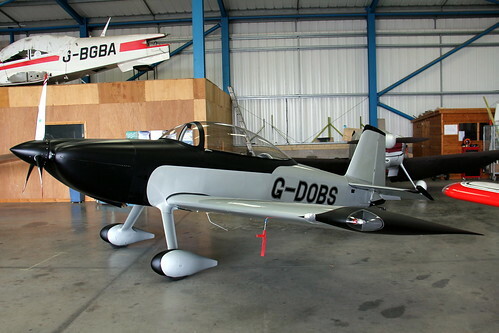 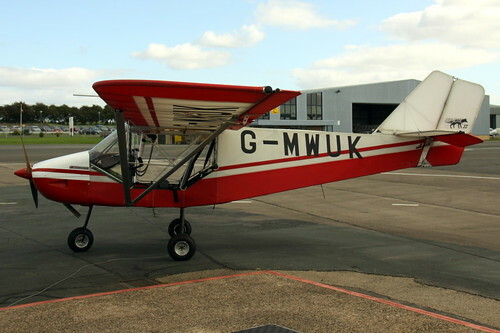 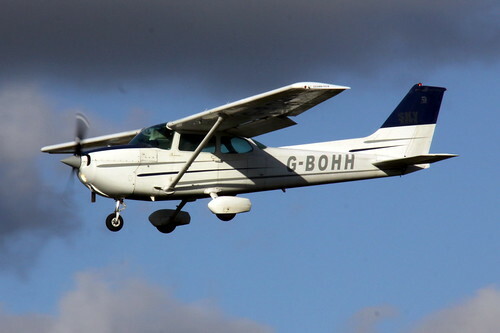 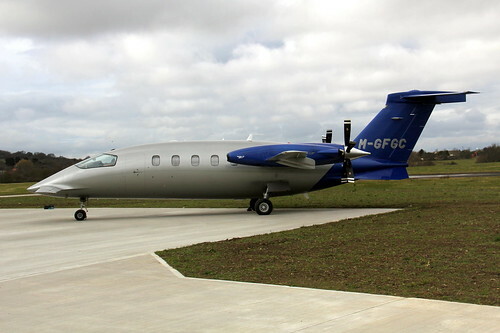 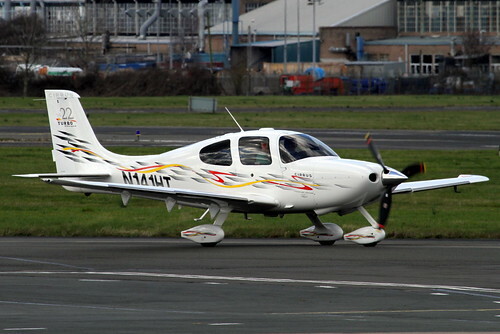 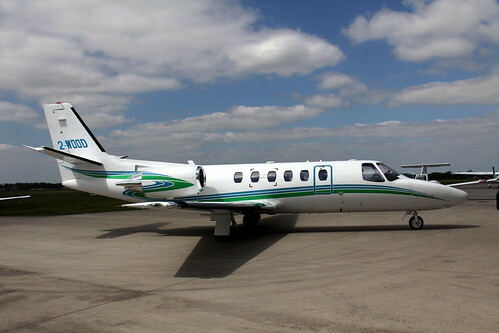 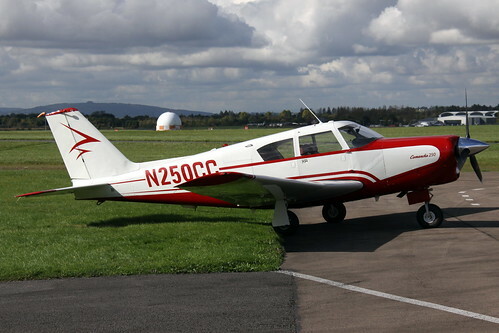 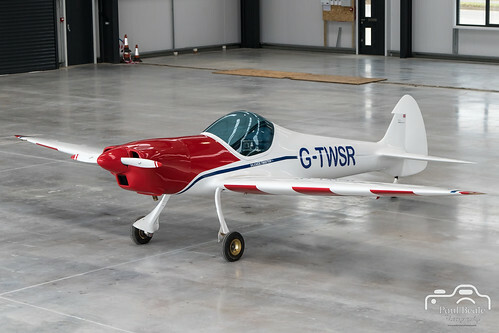 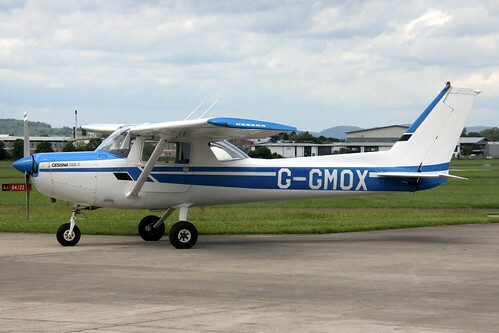 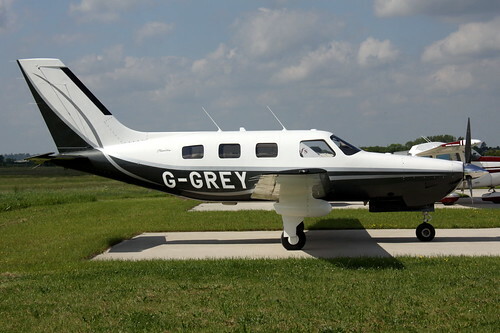 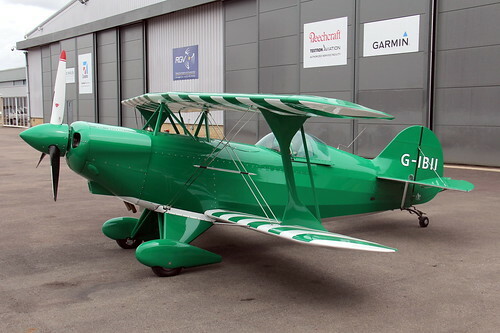 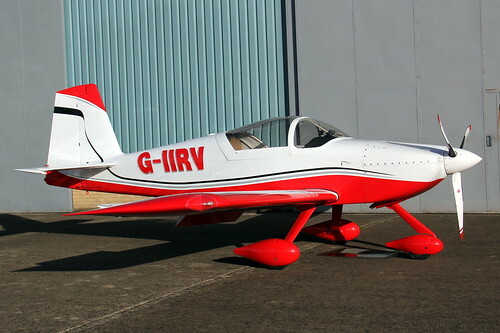 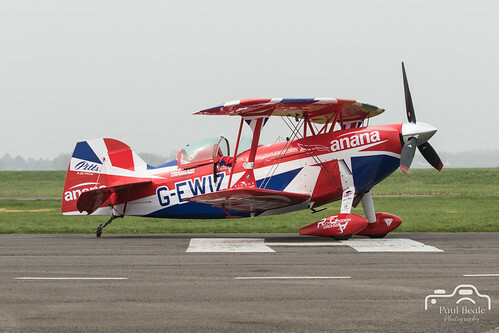 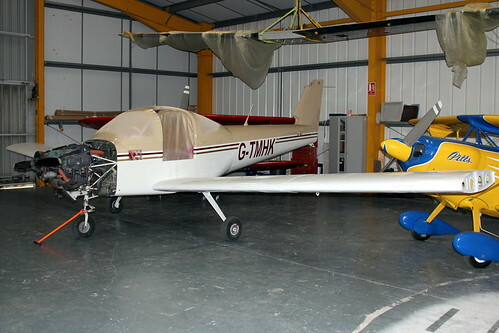 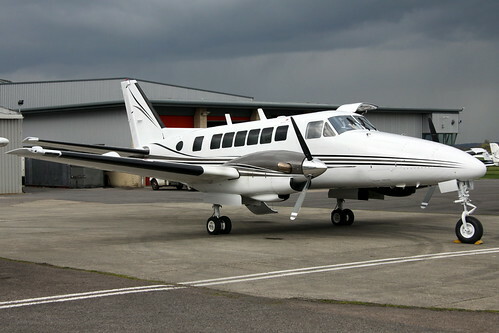 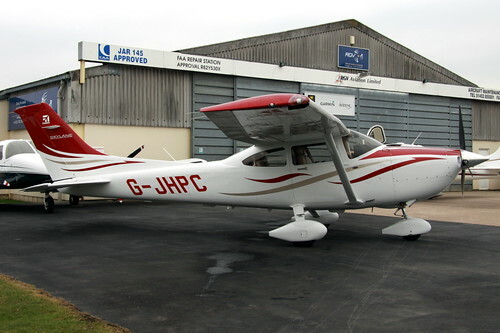 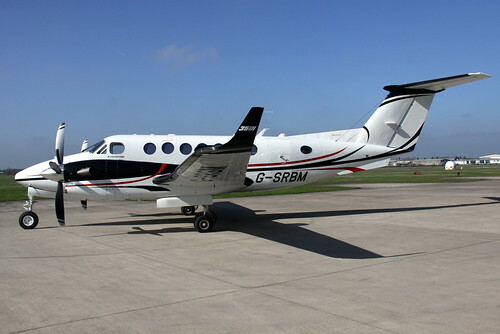 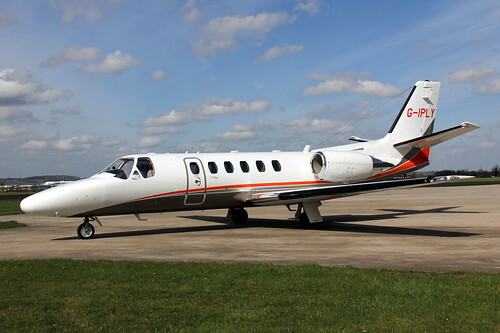 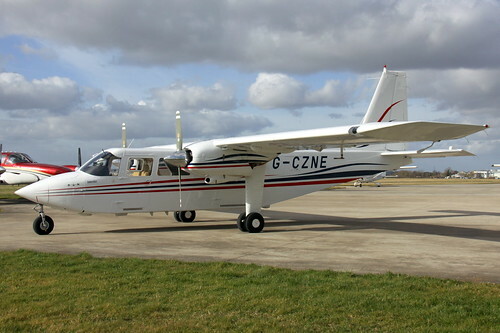 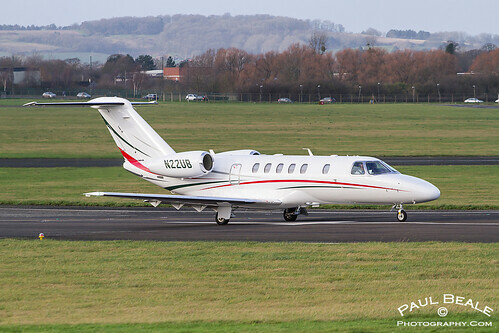 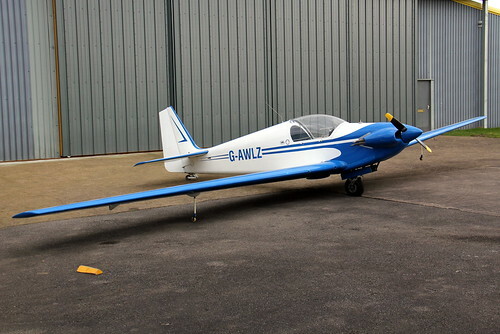 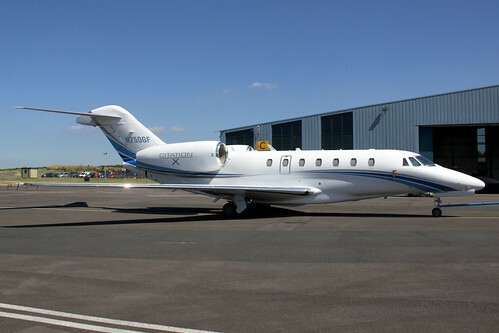 In addition, as Gloucestershire Airport is home to a number of maintenance organisations such as Specialist Aviation Services and Babcock, many other aircraft can be seen in and around the airport. 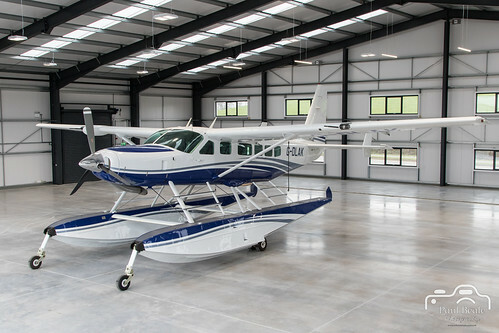 Again these are separated from the main residents listing. 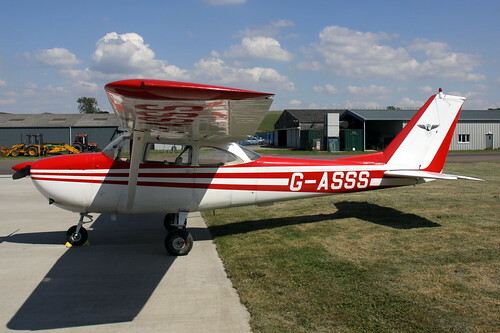 on airport fire dump marked as "G-OPAS"